US getting more mobile. Ben. We knew the White House was on board with the FCC's desire to free up an additional 500MHz worth of spectrum over the next decade from private and federal holders, as announced last year, and now Obama has announced the plan to do it. The plan is to incentivize the current spectrum squatters with a share of the revenue gained from auctioning off the spectrum -- mostly for mobile broadband use -- which only seems fair, and for now it seems those auctions will be voluntary. But that's just the tip of the iceberg: the plan also includes a $5 billion investment in constructing 4G networks in rural areas (with a goal to reach at least 98 percent of Americans with the service), a $3 billion fund for 4G R&D to help the rollout, and $10.7 billion for a wireless public safety network. The beauty of this plan is that all these proposed costs are offset by the spectrum auction, which is estimated to raise $27.8 billion, of which $9.6 billion will be dedicated to deficit reduction. Oh, and the best news? The government has already found 115MHz worth of Federal spectrum that it can free up by using its other spectrum more efficiently, and has another 95MHz worth in its sights. Hit up the source link to see President Obama's speech on the subject, which has just begun, or check it out embedded after the break. 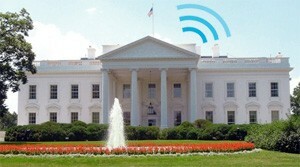 Obama announces plan to free up 500MHz of spectrum, invest in 4G for rural areas, and build out nationwide public safety network originally appeared on Engadget on Thu, 10 Feb 2011 13:38:00 EDT. Please see our terms for use of feeds.